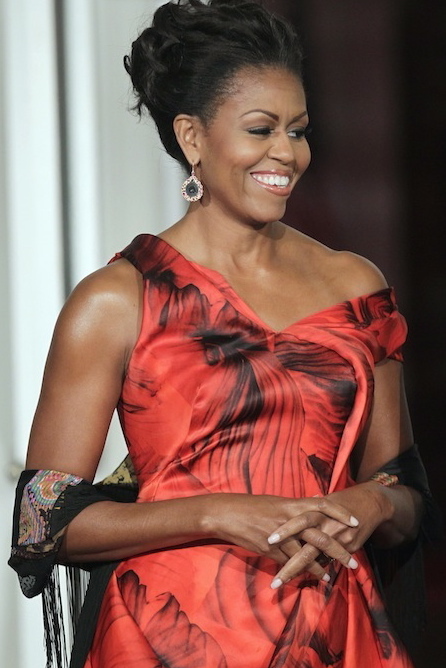 Michelle Obama’s latest state dinner dress symbolizes good luck in Chinese culture. The dress is by designer Alexander McQueen, who died almost exactly one year ago. Her earrings were by Kimberly McDonald.